With the assistance of our competent workforce, we have been committed to manufacture, supply, trade and export premium quality SMC DMC One Way Finger Type Busbar Support. This support is designed and manufactured using superior quality raw materials and fiber that are sourced from accredited vendors. With the help of our reliable logistics personnel, we assure secure shipment of this support within the time specified. 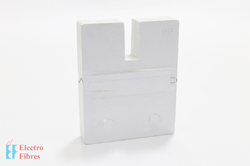 Since our inception, we are engaged in manufacturing, supplying, trading and exporting quality assured SMC DMC Three Way Finger Type Busbar Support. To meet the variegated demands of clients, this support is made available in different sizes, models and specifications. 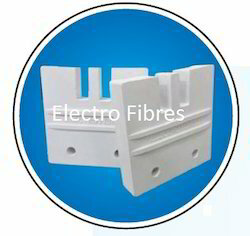 This support is widely used in commercial and residential sectors for electrical purposes. Pertaining to the clients’ requirements, we have been committed to manufacture, supply, trade and export superior quality SMC DMC Two Way Finger Type Busbar Support. In order to satisfy the needs of clients, this support is manufactured using premium quality raw materials obtained from dependable sources. 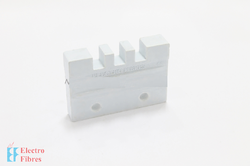 This support is extensively used for electrical and engineering applications. Looking for Special Insulators ?